Drug tests are perhaps the most important tests you need to pass in your life. Although relatively uncommon in the UK, drug tests do still take place sometimes. Passing could make the difference between unemployment and having a stable source of income. This is why it’s so vital to ensure you pass a drug test. 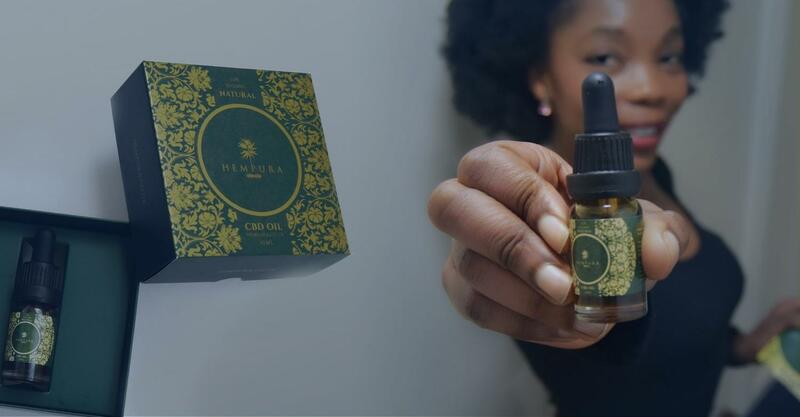 Plenty of law-abiding citizens are now using cannabis products like CBD oils as a part of their daily regimen. 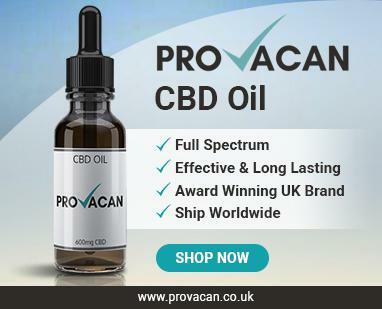 With the supposed health-boosting properties of cannabidiol, people are flocking to High Street shops and online sites in order to buy the latest and greatest CBD products. Since CBD is considered legal in Britain, you should have nothing to worry about, right? Well, it turns out that you’re not entirely covered by all CBD products. Today, we will be looking at whether you can fail a drug test after using CBD-rich cannabis or CBD oils. There are some important things to clear up, first. It is common knowledge that cannabis in its raw form is illegal in the UK. You cannot purchase, sell, or consume marijuana in any situation whatsoever. While some companies allow medical marijuana to be purchased legally, Britain is not one such country. Cannabis is a Class B drug in this country. That means that possession can warrant five years in prison and an unlimited fine. Unlicensed dealing can earn you up to 14 years in prison and an unlimited fine. Because of this classification, it might seem rather pointless even trying to get your hands on cannabis. However, the Institute of Economic Affairs (IEA) estimates that 255 tonnes of cannabis were sold to approximately 3 million British users in the 2016/17 year. The illegal sale of cannabis may generate up to £2.5 billion in Britain alone. Clearly, despite its illegal status, people are using cannabis behind the law. Most of these are recreational users, but there are probably some out there seeking to medicate themselves. For these people, they may choose to opt for high-CBD strains. 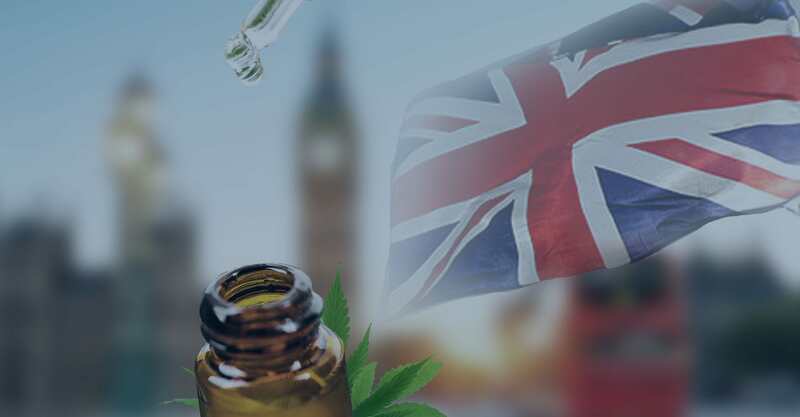 CBD is not actually illegal, and is available for sale in Scotland and Wales as well as the rest of the UK. 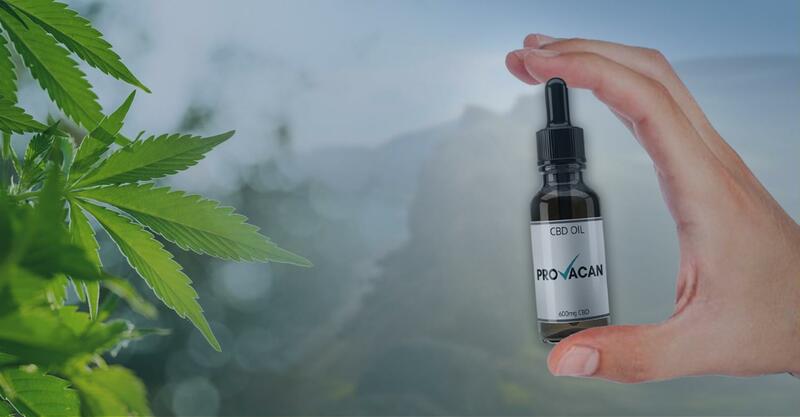 As a result, people may switch to perfectly legal CBD oils instead of high-CBD cannabis strains. Technically, industrial hemp is a high-CBD cannabis strain, and so all CBD products are derived from cannabis that is rich in cannabidiol. A company called Hemp Botanics, based in London, claim to sell the first “legal weed” in the UK. They sell hemp flowers, designed to be smoked and used like regular weed. However, because these are from hemp and not marijuana, they are both legal and non-psychoactive. Users of CBD oil, illegally purchased cannabis, and hemp flowers alike are all wondering where the line is drawn – at what point will you fail a drug test? CBD vs. THC: What’s Going On? An important distinction to understand at this point is the difference between CBD and THC. Since THC is the illegal compound that causes impairment after consuming cannabis, this is the compound that drug screenings test for. Whenever THC is consumed, the body breaks it down into a metabolite called THC-COOH. This metabolite is stored in the fat cells and can remain there for a significant period of time. The more THC you use, the longer it will stay in your system. This is why, if you smoke weed, you can fail a drug test even days or weeks after your last session. Usually, employers will use a urine test. As THC-COOH is passed in the urine, it can be detected in a urine sample. As a result, the testers will know that THC has been consumed fairly recently. CBD is also broken down by the body in a similar way, but CBD metabolites are not tested for in a drug screening. Since CBD is not tested for, you can’t get in trouble for using a CBD isolate. 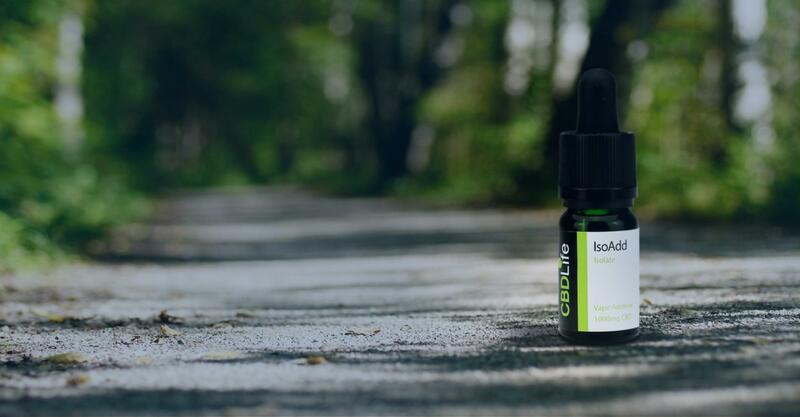 If you are really concerned about failing a drug test, you can always opt for CBD isolate products that are guaranteed to contain no THC whatsoever. Furthermore, certain full-spectrum products will also pass a drug test. For example, CBD topicals containing limited amounts of THC will not regular on a drug test. This is because the cannabinoids are not broken down in the same way, and instead remain in the top few layers of skin. Basically, topical forms of CBD are safe to use. That being said, it is possible to fail a drug test if you use full-spectrum CBD products. It’s highly unlikely, but it is possible. Oils, capsules, and edibles all usually contain a very small amount of THC. The legal limit for THC in the UK is 0.2%, and so all products sold online and in shops should contain less THC than this. 0.2% is a miniscule amount. It is very unlikely that this amount will even show up on a drug test. However, it’s important to remember that false positives sometimes occur with urine tests. A false positive refers to a ‘positive’ result (indicating that drugs were used) even when the individual hasn’t used drugs. Usually, a follow-up test will indicate whether this is the case. Really, in order to trigger a false positive, you would probably have to be consuming approximately 1000mg of CBD per day. If you are one of the people illegally buying cannabis to self-medicate (which we don’t condone, by the way!) you are much more likely to fail a drug screening. CBD-rich cannabis strains often still contain huge amounts of THC. While the CBD may offset the psychoactive effects of THC and make it feel as though you didn’t get ‘high’, you have still consumed THC. As a result, THC metabolites will be detectable in your urine and its highly possible that this will be picked up on a drug test. The situation regarding medical marijuana might change in the future if there is a shift in governmental stance. For now, though, it’s just not worth it! We recommend trying a legal CBD oil instead. So, Will I Fail a Drug Test if I Use CBD-Rich Cannabis? The general answer to this question is ‘it depends.’ If by “CBD-rich cannabis” you mean hemp and hemp-based products, then no, you won’t fail a drug test. The trace amounts of THC contained in these products is not enough to fail a urine test, and the worst-case scenario will be a false positive. If, however, you are referring to CBD-rich strains of marijuana, then yes. Marijuana contains much more THC, even if there is CBD within it, too. Consuming weed will not only cost you your job in a drugs test, but it is also illegal. Since the government has recently legalised cannabis-based medications, there is a slight worry that such medications will cause sick individuals to fail drug tests. Sativex, for example, contains a 1:1 ratio of CBD:THC, meaning that there is still plenty of THC contained in the spray. Currently, hardly anybody is actually being prescribed these medications, so we can’t confidently say how this situation will pan out. Hopefully, individuals with a prescription for such medications will receive the utmost understanding from their employers. For now, people choosing to self-medicate with cannabis-based products like CBD oils should be aware of the risks. 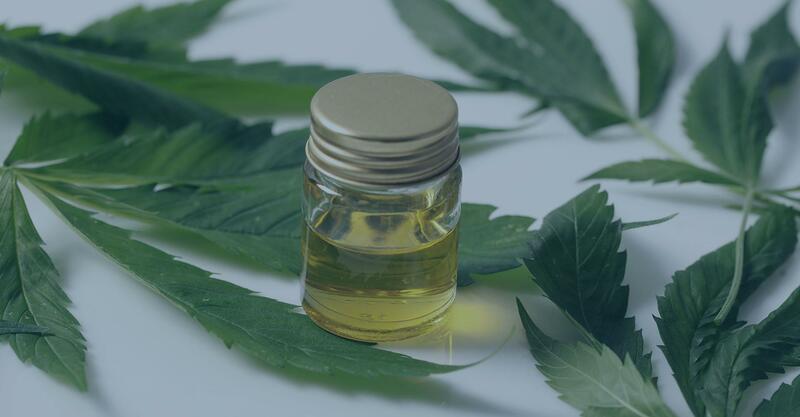 Ensure that you are buying legal CBD oil with a low THC content, and you shouldn’t have to worry about failing a drug test. If urine screenings are a huge worry to you, then you can always buy a CBD isolate instead.